We’re smack bang in the middle of festival season and although the weather is top of mosts lists to check before leaving, here at Girls n Gadgets it is definitely the tech that we are going to fit into the backpack that tops our list. High on my needs mainly being keeping my gadgets on charge – most of which my iPhone. There are quite a few gizmos that add a bit of charge to your phone, some that come pre-charged with energy and others that you wind up or blast with sunlight to get some juice into your phone. 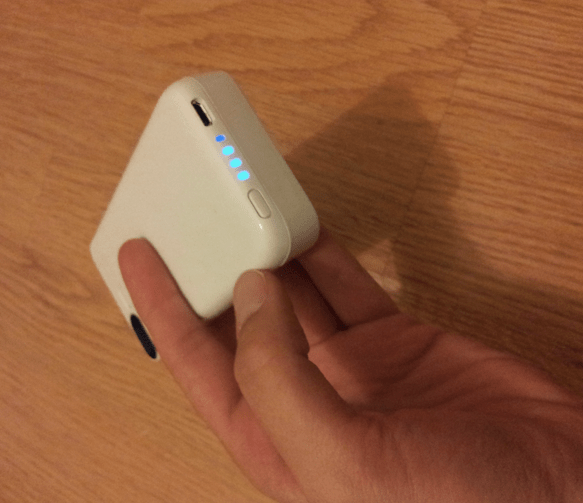 One that has recently caught my eye is from NUU and it is called the NUU ClickMate. 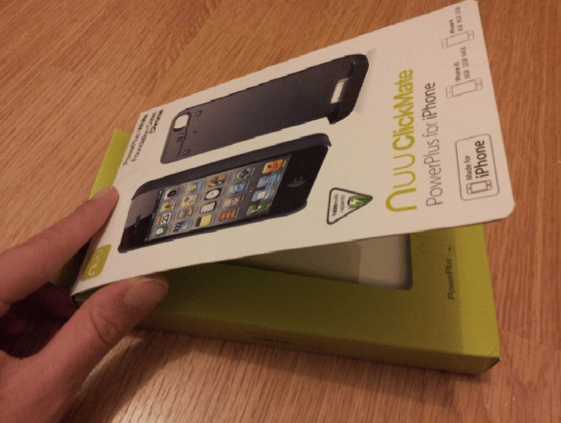 The NUU ClickMate is of the pre-charge variety and comes ready for the iPhone 4 and 4S. The packaging is rather swish too – you may find it strange to be talking about the packaging, but I’m all about the full experience. The presentation-like packaging features a neat magnetic flip front so that you can see the device and the instructions on how it works. 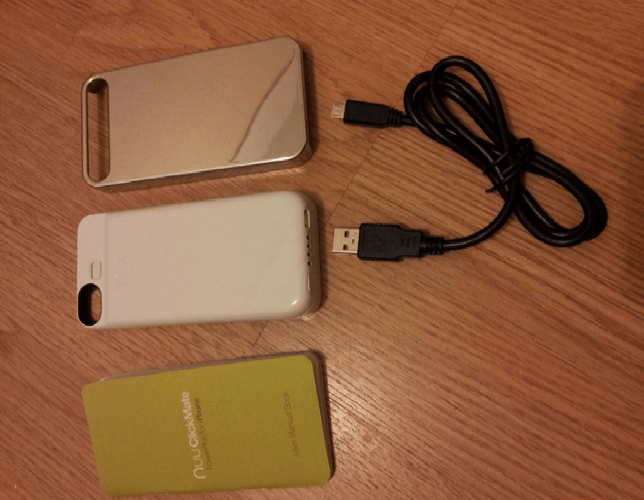 Once opened you can see that NUU has not scrimped on the design of the device either, the PowerPlus or ‘battery’ is the shape of the iPhone 4/4S and our comes in sleek white, with slimline features and smooth corners. There is a hole at the top rear side of the device so that you don’t have to compromise on using your iPhone as it charges – nice touch. At the bottom of the device are four blue LED lights that indicate the charge available on it – this can be put on standby with a little switch to the side of it to preserve every drop of energy. 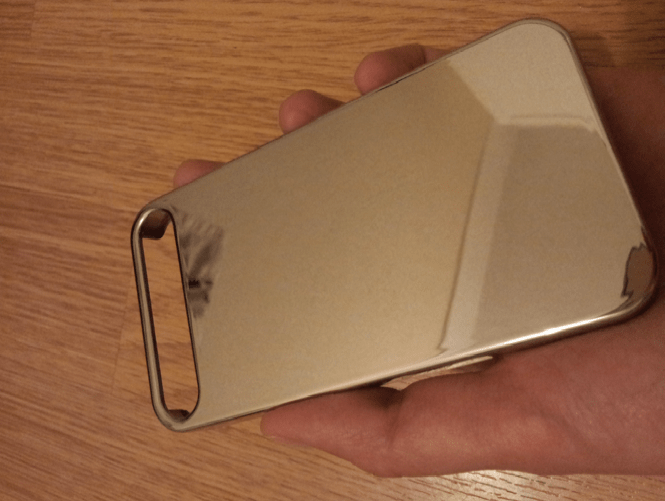 To accompany the PowerPlus part of the NUU Clickmate is a rather nice looking chrome case for the iPhone that not only protects your phone, but also makes slotting into the ‘battery’ part much easier. Particularly the lock-mode so that the phone won’t slip out as you snap a quick shot of you wellie-clad mates at the festival. This nifty case is called the ClickMate Foundation Case and comes in translucent black, translucent white, metallic silver and metallic graphite. 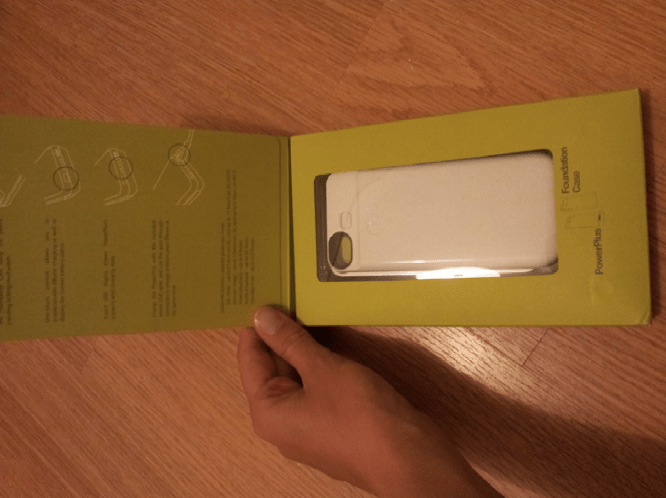 So we’ve established that the device looks and feels pretty lovely, but how about the numbers – can it really keep my iPhone juiced up for my festival time or am I going to have to get out the solar charger on the second day? The PowerPlus has a surprising amount of clout for a device boasting such super-slim features – in the form of 1600mAh battery capacity that you charge via USB. I’ve been using it and it’s impressive, quick to charge and I get at least one full battery charge on my iPhone out of it. We quizzed the chaps over at NUU on the actual numbers they had on the books and they’re confident that on a full charge the NUU ClickMate will hold enough battery life for an additional 22 hours of talk-time on a 2G signal and 5 on 3G. If you are anything like me, talktime doesn’t really factor too much at a festival – unless I get lost that is – and so internet is what I’m all about and the numbers look okay, 8 extra hours of internet use on wifi and 5 hours on 3G. If you’re stuck in the tent, the PowerPlus will give you enough charge for 8 hours of video playback and 30 hours of audio playback – not bad! 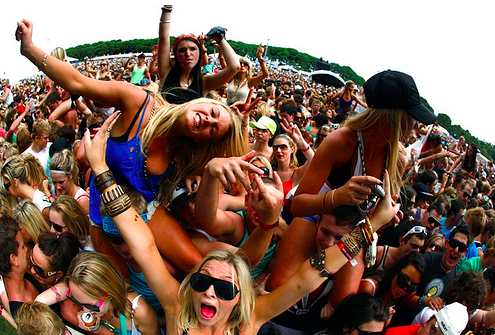 Too busy enjoying yourself, the charge will give you a whopping 225 hours of standby time. You can get the NUU ClickMate in white or black here and it’ll set you back £69 – plus the website currently includes a free ClickMate Wallet with every order. Our verdict is that it looks good and provides a great boost when you need it most – keeping you charged up for longer then a lot of its competitors. We’d give it a rating of 4/5 – marked down only due to the high price.